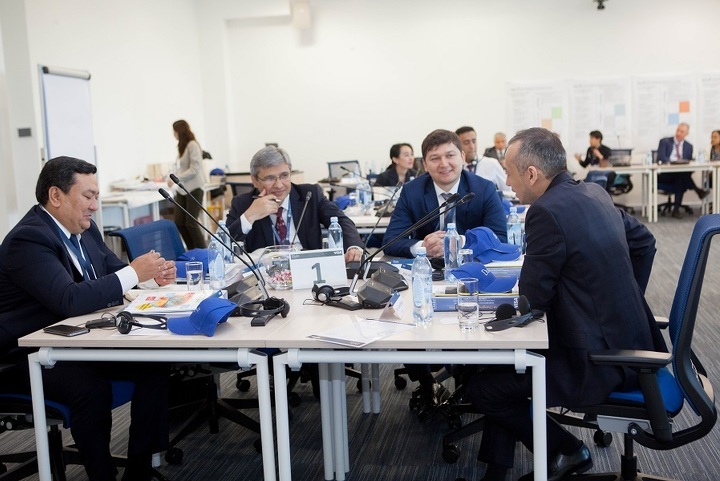 The mission of the NU GSB is to have a positive impact on society by preparing the next generation of business leaders in Kazakhstan and Central Asia. In addition to programs with a master’s degree (MBA, master of science in Finance), the NU GSB conducts two types of short-term programs: corporate training programs and open enrollment programs. In the first case, the subject and content of the training is developed for a specific company depending on the needs of the business and industry focus. Corporate trainings are adapted individually for each client and are conducted behind closed doors. NU GSB conducts corporate programs for both Kazakhstan and foreign companies (“Kazpost”, “Samruk-Kazyna”, Visa, ERG, KTZ and others). Open enrollment programs are designed for professionals from different sectors of the economy who wish to acquire new knowledge and improve their professional skills. This 2-3 day programs on a specific topic. Among them: “Strategic vision in business”, “Analysis of financial statements”, “Strategic marketing”, “Operational management”, “Change Management”, “Supply chain strategic management”, etc. These programs are held according to the pre-approved training calendar posted on the website www.gsb.nu.edu.kz, where you can find the latest information about upcoming events, dates, topics and cost of programs. There is also a separate training program for small and medium-sized businesses. It is implemented within the framework of the state program “Business road map — 2020” and financed by the Ministry of national economy of Kazakhstan. The “Training of top management of small and medium-sized businesses” program was launched in 2011. It is aimed exclusively at executive managers and owners of SMEs, in order to expand their knowledge in the field of business. Every year 420 entrepreneurs from all over Kazakhstan are trained under this program. The program consists of three blocks. The first is a three-day full-time study, which is conducted directly at NU GSB. It is conducted in English with simultaneous translation into Russian. In addition to the theory, students perform practical tasks, consider Kazakhstan’s cases, work out different situations in groups, and participate in discussions. The second block includes a series of webinars with the participation of Kazakh experts, and the third – independent writing of a business plan. At the end of the program, participants receive certificates. It is worth noting that the training under this program is free for participants; the only costs they incur are payment for travel and accommodation in Astana. Applications for participation in the program takes “Entrepreneurship development Fund “Damu” JSC. The main condition is that SMEs belong to the priority sectors of the economy, as reflected in the “Business Road map 2020” state program. Most programs are developed and run by professors of the NU GSB. These are people who have received a PhD degree in the leading business schools of the world, such as Stanford University, INSEAD, Purdue University and others. They also have practical experience and are engaged in research activities. One training may involve one or several teachers depending on its subject. In addition, leading foreign experts specializing in certain areas are involved. Open enrollment program listeners can be divided into three groups: senior and middle managers, representatives of small and medium-sized businesses, as well as line managers who want to move up the career ladder. Among the well-known companies whose employees were trained in 2018, we can note “Kazakhstan stock exchange” JSC, “ArcelorMittal Temirtau” JSC, “Forte Bank” JSC, Shell, LG Electronics, “Tengizchevroil”, “Kar-Tel”, “Technodom” and many others. These programs are also visited by representatives of small companies, whose names may not be heard, but whose executive managers pay attention to the development of their personnel. Generally, the number of participants depends on the topic of the training. For example, almost half of the Strategic marketing and financial reporting Analysis programs participants are representatives of SMEs. While there were more representatives of large businesses at the “Supply chain strategic management” training. Many companies do not accidentally seek to improve the skills of their employees. In the modern world, and even more so in the conditions of a tough competitive struggle without investment in human capital, it is simply impossible to survive. Today, not only the company’s financial indicators, but also the further development of the business as a whole, depend on the efficiency of the staff and its ability to work in multitasking. In recent years, educational services are becoming increasingly popular on the business side. This is confirmed by the figures. For comparison, if in 2014, at the start of short-term programs, 76 people were trained at NU GSB, then in 2017 there are already 153 people, and this year more than 200 people attended business school trainings. This indicates a growing demand for training programs. Business school of Nazarbayev University offers high quality programs, the content of which is based on the latest research. They are developed by foreign professors using the most effective teaching methods. Short-term programs of NU GSB are aimed at developing of strategic thinking that will provide a comprehensive understanding and solution of current and potential problems in the company. Many participants after passing the short-term programs note that they radically changed their view on some business processes in their company. An indicator of quality is the fact that many participants attend several programs a year, as well as direct their employees to training. Business school claims high ratings and wants to be recognizable in the market, increases the level of professional education of specialists from various sectors of the economy. 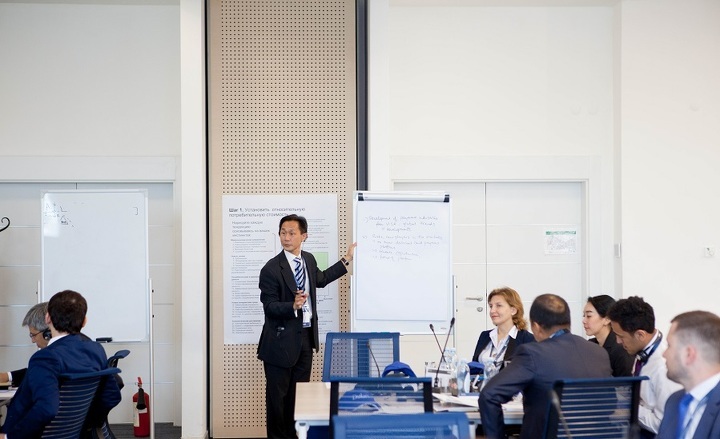 For a business school, it is important to develop effective management skills for national business leaders in order to solve strategic tasks, so that they not only know modern business practices, but also can apply their knowledge in real conditions. 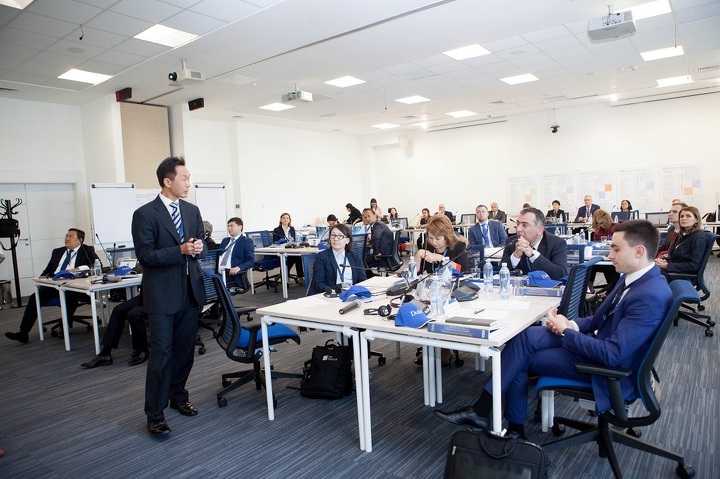 The specialists of the business school plan to expand the scope of the proposed short-term programs in accordance with the needs of the Kazakhstan market and strengthen its reputation as a reliable partner of the business community.